An American game show that was on the air intermittently between 1991 and 2005. The backdrop of gameplay was a two-story shopping mall containing 14 stores. Two teams each consisting of two people competing against each other to win prizes and a trip. Nearly all of the stunts were mini-games played in a one-minute time limit, which tested popular culture and consumer knowledge. The winners of a coin toss followed the host to the play area of the first stunt. After being told the specific gameplay, the team decided whether to play the stunt or pass and force their opponents to play. Stunts varied widely, but most involved the team answering questions based upon a pop culture category, or various other games based on pricing merchandise. Nearly all stunts featured a 60-second time limit. Successfully completing the stunt earned the team 100 points and allowed them to choose a store located on the first floor of the mall, winning the prize associated with that store. 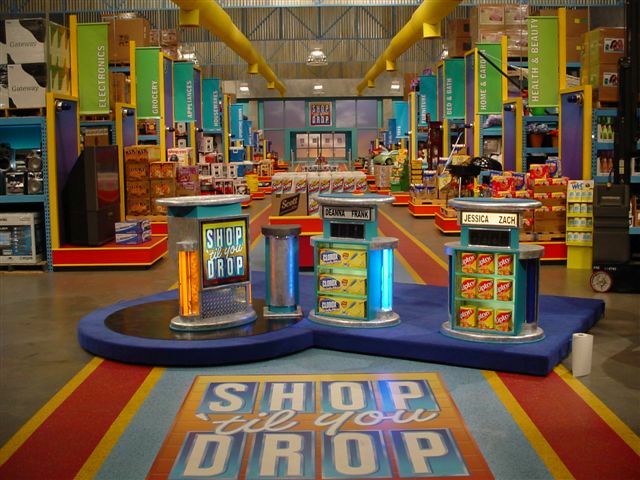 Although the stores and prize specialty associated with each store varied from episode to episode, each generally featured prizes typical of game shows (furniture, electronics, artwork, etc.). 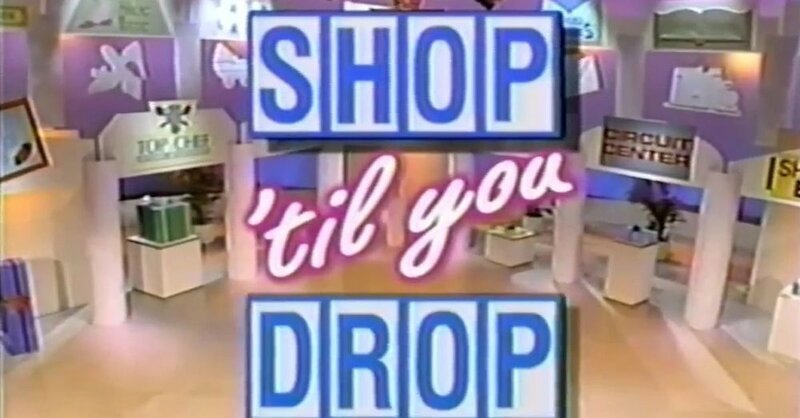 One of the stores each day featured the "Shopper's Special", which also awarded a mini vacation when chosen. After the first stunt was played, the remaining team played the second stunt. Whichever team did not have the choice of playing or passing the first stunt in round one had the option in round two. Also, completing a stunt earned a team 200 points in the second round. The "Shopper's Challenge Round" was played after round two. During the round, the host asked a series of rapid-fire multiple-choice questions, again related to entertainment and shopping. The round was played for a 90-second time limit, and a correct answer awarded 50 points. Only one team member could answer each question, and partners switched places after a question was asked. If a team responded incorrectly, their opponents were given the chance to answer. The team with the most points at the end of the round won the game and advanced to the bonus round. If a tie occurred, a final question was asked. A team who buzzed-in and answered correctly advanced to the bonus round. If a team answered incorrectly, the other team automatically won the game. The bonus round involved a shopping spree in which the team tried to accumulate a prize package of at least $2,500 within 90 seconds. One of the team members was the shopper while the other team member was the runner. The shopper stood in front of a table with six boxes, each concealing a prize. When the round began, the shopper opened the first box and decided whether or not to keep the prize. If the prize was kept, the runner brought the box to a table across the stage and rang a bell signaling the shopper to open the next box. If the shopper wanted to exchange the prize, the runner took the box to any of the 14 stores in the mall, left the opened item there and brought the unopened box from the new store to the prize table and rang the bell. Play continued until six items were kept/exchanged, or until time ran out. At least one of the stores in the mall contained a prize worth at least $700. Once the first half of the round was completed, the retail values of the prizes on the table were added one-by-one. If the total of the prizes reached or exceeded $2,500, the couple also won a trip. Regardless of the outcome, the couple kept all prizes that were placed on the table prior to time expiring, as well as any prizes won during the first two rounds of gameplay.